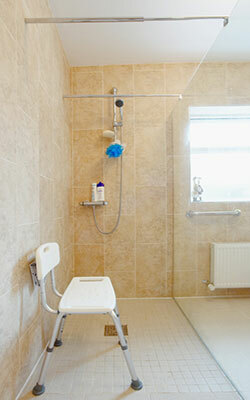 We are experienced special needs home builders and renovators. If a member of your family bears some form of physical disability, it becomes a priority for you to consider their convenience while carrying out any building or renovation work. At NÜHAUS, we understand this aspect and hence we offer a whole set of functional features throughout our architectural designs, house builds and renovations services to make day-to-day life of your family members a convenient and pleasant experience. In conjunction with our house build and renovations services, we offer special features for toilets and bathrooms for the convenience of disabled and elderly. Looking after your family members with special needs is a demanding but definitely commendable job. So, let us share some of your burden and we can together make the daily routine of your family convenient and pleasant. After all, that’s what community life is all about in our opinion.